Fast Auto Tag and Title Service in Philadelphia for over 60 years! The Original Since 1922! Here at Frank Van's Auto Tags we have been helping our customers complete Title Transfers and getting new Auto Tags and Car Registrations for over 60 years! Heck, your grand pop probably got his tags here! One of the few Auto Tag places Open Sunday! 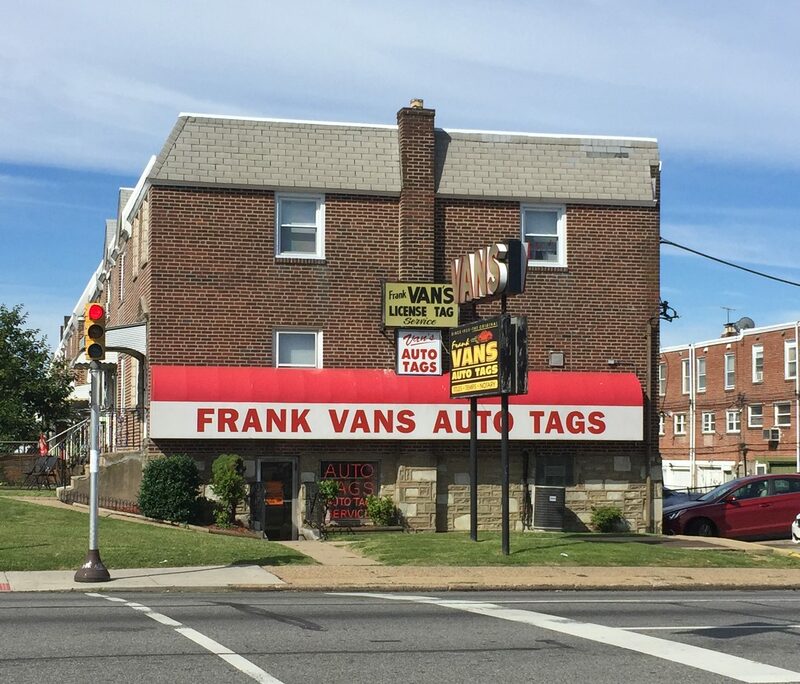 For over 60 years our family owned Auto Tag Agency, Frank Van's Auto Tags has been serving Philadelphia and it's neighboring counties. We pride ourselves on being the original since Frank's Grandfather opened on Allegheny Ave back in 1922. You are required by Penndot to maintain a valid registration. This means that once a year you must re-register your vehicle. Also, you can't get your car inspected without a valid registration. We can instantly renew your registration online and provide you with a registration card and sticker. We have several Notary Publics on staff here at Frank Van's Auto Tags. If you have legal documents and need your signature notarized we can help. Are you or do you have an older or disabled relative who needs a notary but has a hard time getting around? We will come out to the car to make it easy and convenient! 5 STAR Yelp Review: The two women working there today are awesome. Came in with my grandmom to get a paper notorizied. They were so much nicer and professional vs the asshat that works at Wells Fargo in Rockledge. We were in and out in under 10 minutes and the price is VERY reasonable. This was my 2nd time there. The first time, I transferred my old car over to someone and that went without a hitch as well. This place is totally a local business that you'd want to support.